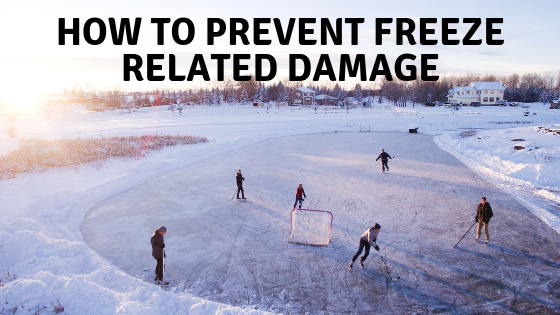 How to Prevent Freeze Related Damage this winter! With winter fast approaching–or already here, in many parts of the country–it’s important to start considering how to prevent freeze-related damage to your home. Even with insurance, repairing your home after a freeze-related incident can be expensive! 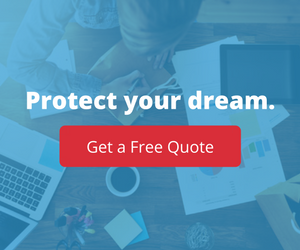 You want to keep your home as safe and protected as possible to avoid expensive repairs. One of the simplest ways to prevent freeze-related damage to your home is to leave the water running or dripping in a faucet. If you have a large home, it may be helpful to leave water dripping in more than one faucet to help keep things moving smoothly throughout the entire house. This step keeps water moving through the pipes, which can prevent them from freezing and bursting. It doesn’t need to be hot water, which comes from a tank inside the house; rather, turn the water to cold and let it run. Keep in mind that you don’t just need to leave the water running overnight. During the day, if temperatures are well below freezing, you may still need to leave the water running. While the sun may help warm the pipes and decrease freezing temperatures, it’s still important to keep things moving! Do you have outside spigots and faucets? As the temperature creeps below freezing, take the time to cover them. Make sure they’re turned completely off, then purchase a cover that will keep them warm and keep water from freezing and bursting those pipes. Do you have exposed pipes outside your home or in your garage? This time of year, it’s important to wrap them with approved heat tape. This will help keep them warmer and decrease the potential for freeze-related damage in your home. Make sure to leave a trickle of water running and your thermostat set to at least 50 degrees. This will prevent freeze-related damage while you’re gone. If you leave your hose sitting outside all winter, it’s not just likely to destroy your hose. It can also cause water to freeze in the faucet or in the pipes immediately beside the house, which can quickly cause significant damage. Instead, roll the hose up, drain it, and store the hose elsewhere for the winter. Sprinklers are often forgotten in the winter when grass doesn’t need to be watered. Take the time to drain your sprinkler system. Then, blow compressed air through the system to ensure that there’s no water left hanging around. Freeze-related damage is an expensive proposition, whether it occurs when you’re sleeping soundly in your home or you come back from vacation to find significant damage. Make sure you have insurance that will help protect you if things don’t go according to plan! Contact us today to learn more about homeowner’s insurance or renter’s insurance that will help protect you and your family financially if you experience damage to your home or pipes this winter.